Silver Jubilee Zebon Copse Fete a huge success! 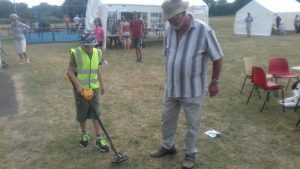 The Zebon Copse Residents’ Association is proud to report that the 25th Summer Fete, held this year on 1st July at the Zebon Copse Centre, was an immense success. 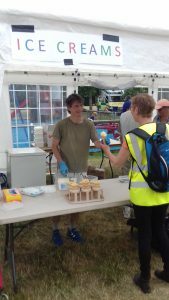 On this the Silver Jubilee of the Zebon Copse Residents’ Association, hundreds of residents enjoyed an impressive array of stalls, games, and food and drink from local businesses and groups in an event that brought together the entire community. Following a two week online countdown, which saw details announced each day on the associations’ twitter feed (@ZebonCopse), there was a buzz of excitement as the 25th ZCRA Fete was declared open. 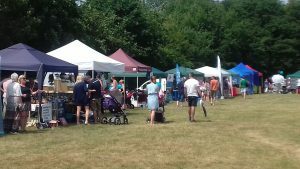 With perfect weather conditions, residents enjoyed a fantastic array of stalls from local producers, charities, and organisations. The fete was truly an event for all the family, with traditional games, a funfair, and practice metal detecting for children, and stalls and a beer tent for the adults. The ever-popular Hog Roast and BBQ was in high demand and, along with ice creams, soft drinks and beer from the drinks tent. The fun dog show saw a fantastic selection of the best dogs from the estate, with proud winners in all six categories. ‘Best in Show’ went to Ryan and Hannah’s one-year old Golden Retriever Nala. The dog show was judged by Lucy King, from Paws for Success, a positive dog training group in Hampshire, Surrey and Berkshire. She said, “They did very well in the very hot temperatures! 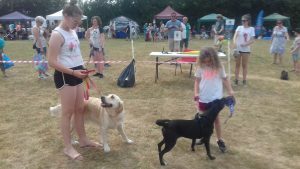 We had some lovely dogs, sensible owners sticking in the shade, and it was nice to see an amazing variety of breeds, like a Boxer cross Staff and a Jack Russel cross Pomeranian!”. 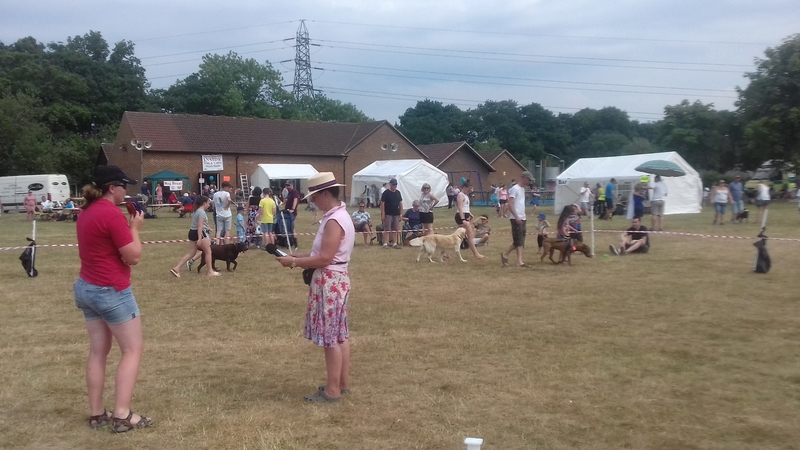 ZCRA’s thanks go to Lucy for judging the dog show so expertly and to Rowan, Jo and Barnabas for helping it run so smoothly. Returning to the fete, local artist Flora Gare ran craft sessions for children and adults together in a packed craft area. The butterfly and dragonfly creations were immensely popular with local children, who enjoyed flying them around the showground throughout the afternoon. The committee would like to thank all those who volunteered their time to make this fete a success. Particular thanks goes to Sheila Thorns, who has worked incredibly hard in organising so many aspects of the fete. Without her tireless efforts over the past few months, the fete would not have happened. Special thanks go to Rowan Hill for her expert coordination of over 20 local stalls and Barnabas Balint for all online communications. 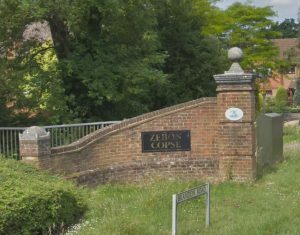 We would also like to thank Crookham Village Parish Council for their sponsorship of the Zebon Copse Centre, field and crafts. A final thanks go to all our volunteers, stallholders and residents who attended and enjoyed the fete. 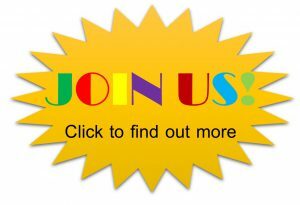 Without the help and support of our team of dedicated volunteers, none of this would be possible. based on the Wordpress theme Customizr.